Renowned theologian Reinhold Niebuhr began his career as pastor of Bethel Evangelical Church in Detroit, Michigan, where he served from 1915-1928. 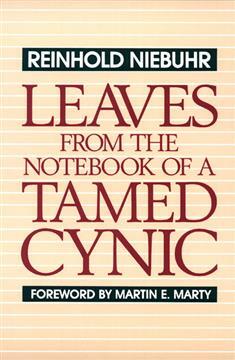 Leaves From the Notebook of a Tamed Cynic is Niebuhr's account of the frustrations and joys he experienced during his years at Bethel. Addressed to young ministers, this book provides reflections and insights for those engaged in the challenging yet infinitely rewarding occupation of pastoral ministry. Niebuhr's powerful book remains as useful and relevant today as it was eighty years ago.